Having won the toss and putting Pakistan in to bat, India could not ask for a better start to the ICC Champions Trophy final on a sun-blessed Sunday. Having played the best cricket of all the teams in the tournament, they had a phenomenal chasing prowess with a rock-solid top four and were high on confidence having annihilated Pakistan in the group stages. 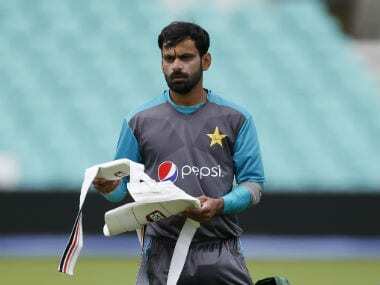 However, two weeks is a long time in an international competition, and the Pakistan team that turned up in the final was completely different outfit to the one that plunged to defeat in its opening game. Firing red-hot after wins against Sri Lanka and England, they were in a rampant mood, energised with new belief. Opener Fakhar Zaman, playing in just his fourth ODI, emphasised better than anyone this resurgent belief, fighting off pre-match nerves, inexperience and illness. Like many of his youthful colleagues, he did not carry the psychological scars of previous failures to arch-rivals India and it showed. Zaman batted freely and aggressively. Mixing attacking boundary options and smart strike rotation, he anchored the Pakistan total with the most important innings of his life. Ably supported by Azhar Ali, and a telling cameo from Mohammed Hafeez, the final total of 338 was a daunting one. If captain Sarfraz Ahmed had come in earlier instead of Imad Wasim to lead the final charge, perhaps the total would have even gone beyond 350. It was hard work for India’s bowlers, especially the spinners, but Bhuvneshwar Kumar was the stand-out bowler with a typically calm and clinical performance. India's reply depended largely on the genius of Virat Kohli. Even though the Indian openers have been in outstanding form, Virat's ability to masterfully chase down totals has been the hall mark of Indian ODI success in the recent past. Tragically for hundreds of millions of Indian fans, it was not going to be his day. Mohammed Amir, returning after his back spasms, proved once again why he is one of the finest pace bowlers in the world right now by ripping the heart out of the Indian batting. Amir’s opening spell was sensational. The in-swinging delivery to get Rohit Sharma was perfect and against Kohli he was undaunted by a dropped catch at first slip, nailing his man at backward point immediately after. 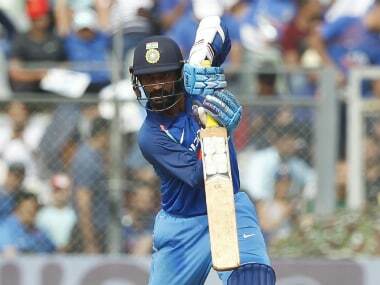 A few overs later he found the outside edge of Shikar Dhawan with a probing, bouncing delivery. India was a bit lacklustre in their chase once Kohli was dismissed. Yuvraj Singh seemed timid and slow. Hanging back to the fast bowlers as if expecting every delivery to be a bouncer and only showing intent to the slower spinners. The dangerous Dhoni was bounced out and Jadeja failed to sacrifice himself to allow the incredibly exciting Hardik Pandya to take India towards an unlikely victory. Pandya showed the value of skill and youth, maybe something India’s selectors should consider when choosing a replacement for that all-important No 4 position occupied by Yuvraj. The Pakistan captain and coach deserve huge credit for keeping the team together, encouraging them to dream the impossible and be brave enough to achieve it. India, led brilliantly by Kohli, played outstanding cricket in the past two weeks. Kohli himself was a true champion and he combined with openers Rohit and Shikhar and a great bowling line-up to prove that they are force in any conditions. There can be no shame on them for losing the final. Pakistan have reaped the rewards of their investment in youth. With Hassan Ali named the player of the tournament, a tactically sound captain, and a skilful although not explosive batting line up, they played in the final played a brand of passionate and brave cricket that they should be immensely proud of. For India there should be no panic. They are a team with a fine leader playing great cricket. They have some very exciting young players, especially Hardik Pandya who has been a revelation. Maybe there is one batting position up for grabs, but aside from that they must focus on further development and improvement, sticking to the vision Kohli has for the side.